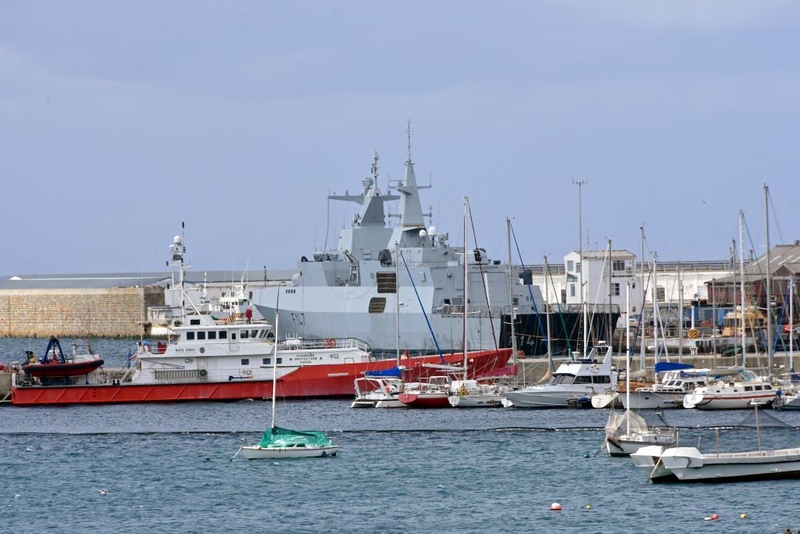 Fishery protection vessel Ruth First & South African frigate F147 Spioenkop, Simon's Town, 13 September 2018. Ruth First was an anti-apartheid activist assassinated in 1982. Spioenkop (= Spion Kop, near Ladysmith) was the notable Boer victory over the British in 1900, at the start of the second Anglo-Boer War.